A good-quality paintbrush is an expensive precision tool that can last for many years if properly cared for. Learn different techniques for the preparation of a new paintbrush, and how to store it, both during use and at the end of the project. Let's walk through how to avoid paint brush issues, step by step. Cheap paint brushes should be used for the application of glues and paint that will not be part of a visible interior finish. What makes them inexpensive is their material and construction. Foam Brushes: Though the finish will be rather poor and unsuitable for serious paint jobs, foam brushes are fine for small touch-ups and for spreading glues when you don't want the hassle of cleanup. A foam brush can also be great for touch-up application of clear wood finishes. But do consider the fact that throwing away foam brushes adds non-biodegradable plastic to landfills. Ferrule: The ferrule is the metal strap that holds the bristles to the brush handle, usually aluminum on cheaper brushes. On these inexpensive brushes, the ferrule will not fit tightly against the wooden handle. With a cheap brush, the ferrule does not hold the bristles very well, resulting in loose bristles that will wind up stuck to your paint job. Good quality paint brushes are all you should use for interior painting using standard, ceramic paint or other low VOC alternative paints. The type of bristle and brush style will depend on what you are painting and the type of paint being used. A good quality paint brush will make your painting job easier and more professional looking. It makes your time on the ladder worthwhile. What makes the brush a bit more expensive is how the brush is made. Brush Style: Brush styles typically include "Wall," "Trim" and "Sash-Trim." Wall brushes are usually flat-bottomed and wide, about 3" to 6". Trim brushes are also flat-bottomed but are thinner and narrower, usually 1" to 2". Sash-trim brushes are cut at an angle and are usually 2" or less in width. For cutting-in or trim work the sash-trim brush is your best value and is most versatile. Bristles: The bristles on a quality brush may be either natural animal hair (hog or ox) or synthetic (polyester, nylon) or a blend of the two. For oil-based paints, use only natural bristles. Do not use natural bristles with water-based paint, because the bristles will become ruined. Synthetic bristles are the choice for latex-based paints ​but are also suitable for oil-based paints. The bristles of a quality brush will be of several lengths, taper near the end and have fuzzy-looking tips (flagged), like a hair with split ends. This design allows the brush tip to hold paint and results in a smooth paint job. Ferrule: The ferrule on a quality brush is usually non-corrosive metal and will look tight and neat, securely holding the bristles to the brush handle. Slap the brush bristles against your hand several times to loosen them. Then slap the brush against a table edge several times to further loosen the bristles. Spin the brush handle in your hand back and forth to spin out loose bristles. Dip the paintbrush in the paint (1/3 the bristle length), and paint a newspaper page (several sheets thick) back and forth in an "X" pattern to break in the bristles. Look at the brush, and remove any bristles that are bent and sticking out by cutting off with a nail clipper. For a natural-bristle brush, you may also want to condition the bristles by soaking the brush in linseed oil overnight before use. If you're using a paint pail, such as the Handy Paint Pail, it will have a little magnet on the side of the pail. This little convenience allows the brush's ferrule to cling to the magnet, allowing the bristles to remain dipped in the paint during your break in work. Other pails may have a separate compartment that you can slide the brush into to keep it wet while pausing. If you don't have a paint pail with these features or are working from a paint can just find a way to leave the brush bristles in the paint. Note: When you are storing the brush temporarily, make sure you do not place it too far into the paint and overload it. Remember to only place 1/3 of the bristles in the paint! For intermediate storage of the brush—several hours or overnight—an easy way to keep the brush fresh is to wrap the bristles and ferrule in plastic wrap. Plastic wrap is cheap, easy to use and gets you a nice airtight seal, It offers better results than wrapping the bush in aluminum foil, as is sometimes recommended. 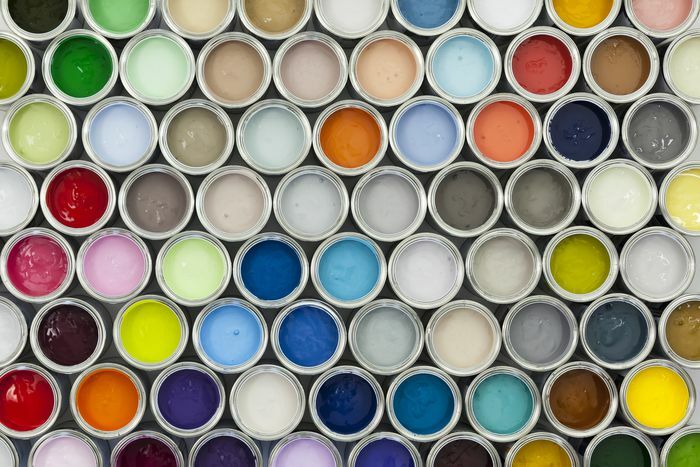 Another technique, although it involves a bit more work, is to get a glass jar or paint bucket and fill it with the appropriate solvent for the paint you are using. This would be water for latex paint and paint thinner with oil-based paint. Take a 1-foot length of duct tape, masking or blue painter's tape. Then place the brush against the jar or bucket, extending into the solvent so the bristles are fully immersed. Tape the brush to the jar looping the tape around the brush handle and taping the ends against opposite sides of the jar or bucket. First, clean out the brush by removing excess paint. Scrape the brush against the edge of the paint can to remove any large amounts of paint. Then, work out most of the remaining paint by painting sheets of newspaper brushing back and forth in an "X" motion until the brush is pretty dry. Remove all remaining paint by cleaning the brush with the appropriate solvent. This would mean water for latex paint and paint thinner for oil-based paint. Dispose of the solvent in an ecologically responsible manner. 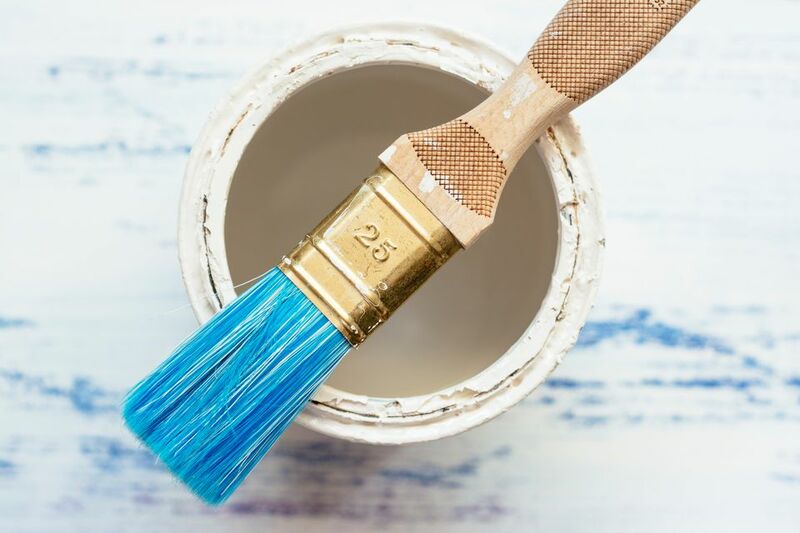 Once cleaned of paint, then wash the brush with soap and water to clean off any remaining paint or solvent, and rinse well. Slap the brush against your hand a few times to bring the bristles back into alignment and then reshape the brush so it looks like new. A good way to do this is with a paintbrush comb, available at home centers and paint supply stores. Wrap the brush in ​a paper towel or a sheet of newspaper and secure with tape or a rubber band. Can Self-Priming Paint Save You the Misery of Priming?